COLÓN, Honduras, Aug. 11, 2016 — The Joint Task Force-Bravo Medical Element’s Mobile Surgical Team completed 11 surgeries at the Dr. Salvador Paredes Hospital in Trujillo, Honduras from July 27-29. The MST is a self-sustaining unit that utilizes their own equipment and operates out of various facilities throughout Honduras to provide free surgeries to patients in need. 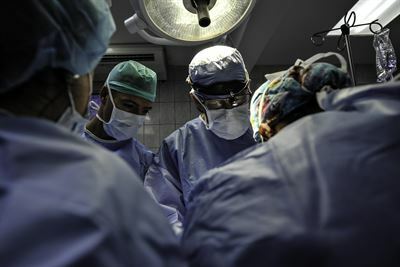 The patients treated by the MST during this operation in Trujillo were first screened by the doctors of the Dr. Salvador Paredes Hospital and recommended for the surgeries based on the severity of their injuries, how long they’ve had the problem, and lack of means to pay for the surgeries. Members of the current MST rotation have now operated on patients in six different hospitals in Honduras and see patients twice a week in La Paz. All of the patients the MST operates on are chosen by the local hospitals and their providers based on their own unique set of determining factors, to include the local hospital staff’s ability to provide follow-up care. Although the current MST staff is two-thirds of the way through their deployment to Honduras, each of them look forward to positively impacting the lives of more than one hundred future patients and their families.